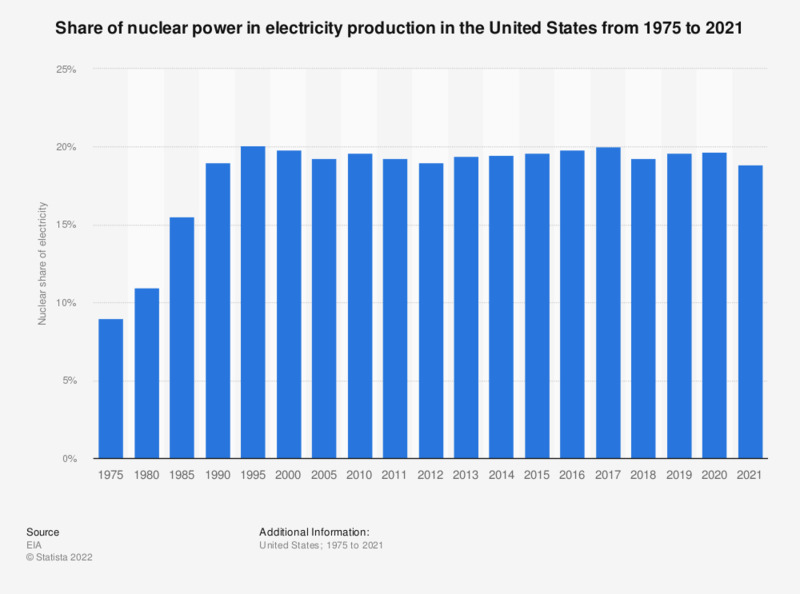 The statistic shows the nuclear share of electricity net generation in the United States from 1975 to 2017. Nuclear energy accounted for 20 percent of the nation's total electricity generation in 2017. The contribution of nuclear energy is significantly higher in France, despite the country having fewer nuclear power plants in operation.